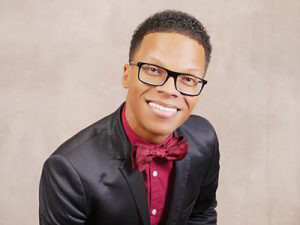 Dr. Terrell L. Strayhorn, a prominent education researcher and author, has been named interim vice president for academic and student affairs at LeMoyne-Owen College, a private historically Black college in Memphis. Strayhorn, who recently began the new post, will serve as the chief academic and student affairs officer, assuming full responsibility for all aspects of the academic curriculum and providing leadership to faculty, staff and students, according to the school’s president, Dr. Andrea Lewis Miller. He also holds a professorship in Urban Education at the college. Strayhorn, who resigned from his post as a tenured faculty member at Ohio State University last year, is the founding CEO of Do Good Work Educational Consulting, a firm that uses research to address student success outcomes. A widely sought-after lecturer, he is an expert on student success and achievement, issues of race, equity and diversity and student learning and development. His book College Students’ Sense of Belonging: A Key to Educational Success for All Students is a popular text that faculty across the country have integrated into their educational curricula. Dr. William F. Tate, Dean of the Graduate School of Arts & Sciences and Vice Provost for Graduate Education at Washington University in St. Louis, hailed Strayhorn’s appointment as an “excellent win” for LeMoyne-Owen and the broader Memphis community. Dr. Marybeth Gasman, the Judy & Howard Berkowitz Professor of Education and director of the Penn Center for Minority Serving Institutions at the University of Pennsylvania, agrees. Strayhorn said he was drawn to LeMoyne-Owen’s “rich history, vibrant student body, committed faculty and staff and President Miller’s clear vision” and said that the position is a good fit for him. Strayhorn said he looks forward to engaging with the larger Memphis community and plans to bring civic leaders, corporate partners and school leaders together to discuss opportunities for collaboration.